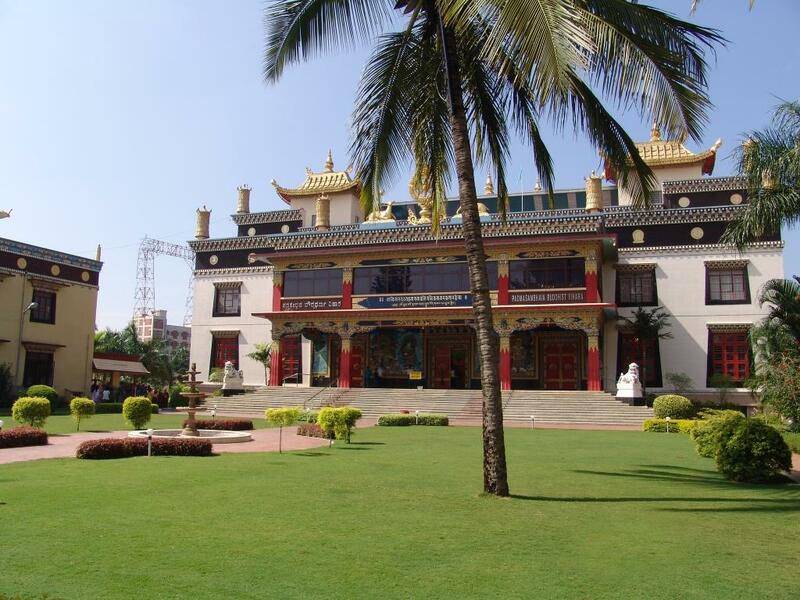 Welcome to the Golden Temple of Namdroling Monastery. We hope your visit will be meaningful. Inside the temple, please refrain from running and shouting. Please do not touch the statues and paintings. As the temple is a place of prayer and meditation, please keep silence and refrain from disturbing other visitors. If it is absolutely necessary to talk, please keep your voice low. It is virtuous to make prostrations and circumambulate the temple clockwise and to recite mantras and prayers while you are here. The temple is a powerful place to confess and feel remorse for the negative actions one has done in the past, from killing insects up to neglecting the happiness and freedom of others. One should promise never to do such things in the future, and resolve to help living beings as much as possible, regardless of their status. This is not only the essence of Buddhism, but also a good way of life, since one&#39;s own happiness depends on others. On this basis, you can make your own prayers and aspirations, as it is certain to be fulfilled meaningfully. If by chance you happen to come across displeasing behaviour, please understand it to be the particular person&#39;s personal limitations, and not a reflection of the way of the monastery or of Buddhism as a whole. The Golden Temple is open for the visitors from 7am till 7pm daily.